These industrial floor scrubbers are thoughtfully designed to tackle the toughest surfaces and also handle the most delicate floors. Both dependable and thorough, these scrubbers will keep your floors looking their best for years to come. These cordless scrubbers allow for heavy-duty cleaning in smaller applications. Compact and industrial grade, these machines are able to withstand daily use in tough environments, including gym mats, brewery floors, and more. 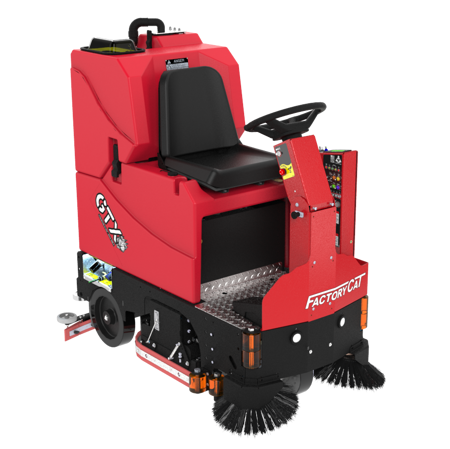 These American-made scrubbers combine innovative design and cost-effective reliable operation into one floor scrubbing machine. An ideal solution for heavy-duty cleaning, these scrubbers make cleaning quicker and more effective. These scrubbers, made in America, incorporate heavy duty steel construction to achieve outstanding quality and durability in one machine. 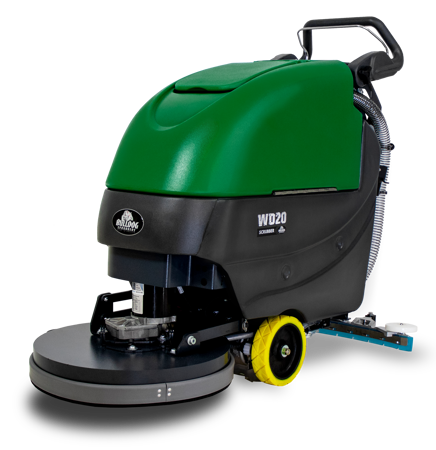 Effective across a variety of applications, these machines are ready to efficiently clean your floors. These floor scrubbers are compact and simple to use. 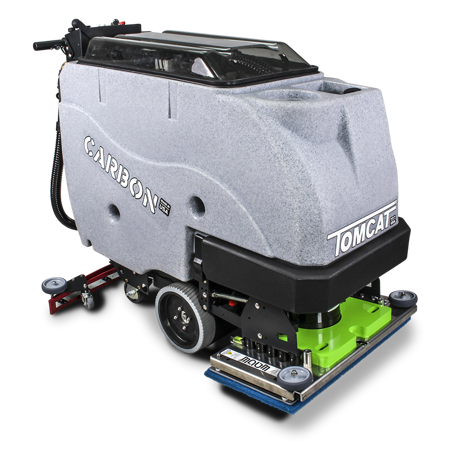 With Factory Cat as their parent brand, these scrubbers help achieve industrial grade clean in smaller applications. Not to mention, their maneuverability and efficient cleaning time. These compact commercial floor scrubbers emphasize simplicity and affordability. Best for smaller applications, these floor scrubbers are ideal for the small business owner. They will give your facility a thorough clean on a budget. We carry a wide array of industrial floor scrubber brands, including Tennant, Bulldog, PowerBoss, Factory Cat, Tomcat, and Simple Clean. 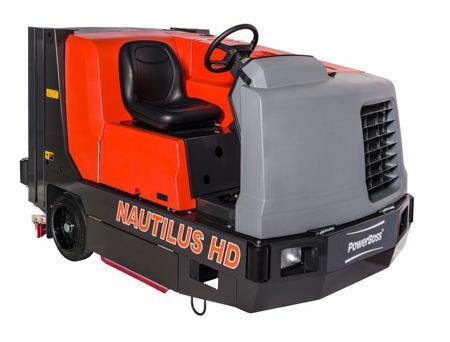 To best serve our customers, we offer scrubber models of various sizes, including both walk behind and ride on models, numerous features, as well as configurational options to create the best-fit model for your unique facility. 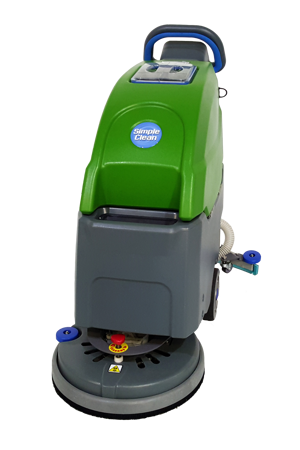 In addition to supplying the industrial and commercial floor scrubbing machines that fit your needs, we also supply cleaning machine replacement parts and floor cleaning detergents to extend the life of your investment. If you are located in Illinois, North Carolina, or surrounding regions, our trained floor cleaning machine professionals can set up a time that is convenient for you to visit your facility. During this visit, we scope out the size, type, and style of floors for your floor cleaning machine. Once all of the appropriate information on your facility is documented, we will then be able to make an accurate recommendation on which machine will best suit your needs! To see if we demo in your area, please contact us. Is your facility compliant with OSHA Silica Dust Exposure Regulations? Learn more about our OSHA approved industrial scrubbers. 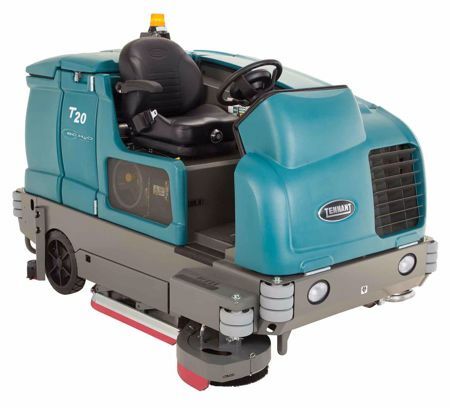 The perfect industrial floor scrubber is waiting for you.